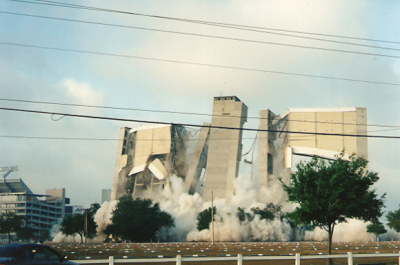 Atlanta Demolition Services We love making buildings go Ka - Boom! Contact Atlanta Demolition Services Today! ​​We want to hear from you, and no matter what's the reason of calling us...well just call! 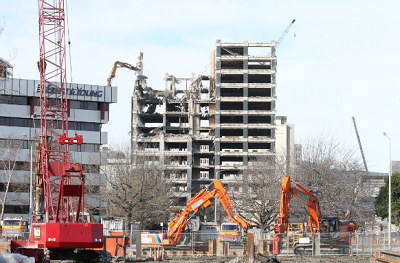 If you aren't sure about the cost of a demolition project or want to setup a consultation meeting, dial away and will get to you with the most valuable information. We are pretty good when it comes to customer service and making sure your voice is heard and needs are met. So please don't worry about what time of the day or week you call. As soon as you got that question you need to get off your chest in regards to demolition, just do so. Also, since we are talking about communications and being in touch, we want to let you know that we won't just be enthusiastic and excited to listen to you the first time you call in...not even at the 10th time. But as many times as you need to talk with us, we will always be available. Even during the project, if you need constant updates or reports on the progress or simply need to discuss something else, you will always hear from us. We don't like playing hide and seek. Our lines are always open for anyone and for any possible need related to demolition. So feel safe, secure and confident that there is at least one demolition contractor in Atlanta, GA that is willing to listen to your concerns, your ideas and complaints. You don't just get to be the #1 demolition company in Atlanta by being a jerk on the phone. We treat everyone with respect, and provide the best information available to us. Also we are very honest over the phone: we won't try and cover up for something but rather be upfront about everything. Below you will find a bunch of different ways you can come in contact with us. Just leave all shame aside, pick up the phone and schedule your appointment or free demolition consultation in Atlanta today! If you would like to come down to our offices and have a consultation meeting that will work too. Or if you would rather go see the building that needs to be demolished, then we could give you an estimate/quote on the spot. So in any case, make sure you make an appointment over the phone. We are pretty flexible when it comes to times of the day during which we conduct consultations. So if you just give us notice half a day before, we can come out to your property and review the situation plus walk you through the demolition process and how exactly we will go about it.